Our Presidents meetings are open to ALL Board members from all the local Leagues in our District, and ALL Board members are encouraged to attend. 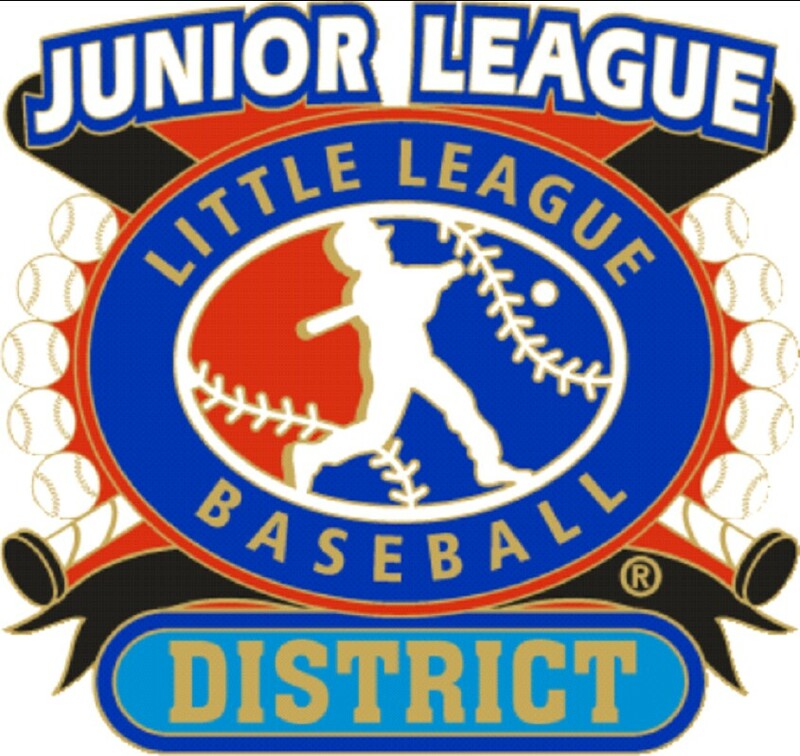 The starting time for two Junior League games hosted by EastLake have been pushed back to 5:30 PM. This will affect games on two dates, Tuesday, May 7, 2019 (Park View #2 vs. EastLake) and Tuesday, May 14, 2019 (Park View #1 vs. EastLake). Please make sure your teams are aware of this change. The updated schedule has been posted on the Handouts page. District 42 Pin Contest Under Way! 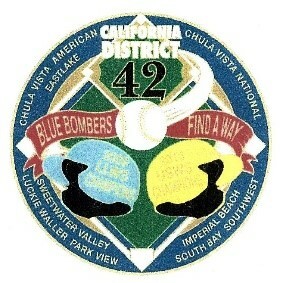 You must be a current player within District 42. 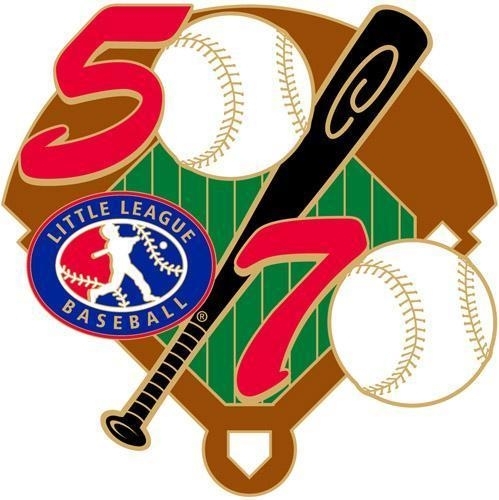 Two pin designs will be selected; the District 42 little leaguers who design the winning logo will each receive a $200 gift card! So, get your paper and pencils out and start etching out your vision for the new District 42 logo! Your design can be submitted via email to: district42logo@gmail.com. 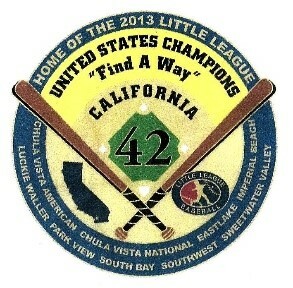 Have a parent help you send a JPG or PDF file and be sure to include your name, age, contact number, and the Little League that you belong to. Enter as often as you wish, but all logo entries must be submitted by April 30, 2019. 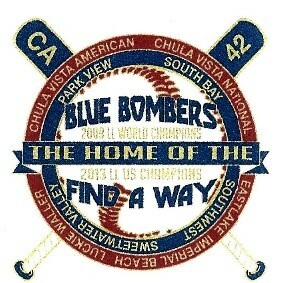 SAN DIEGO (NEWS 8) - Residents of Chula Vista know just how big of a deal baseball is in their city. 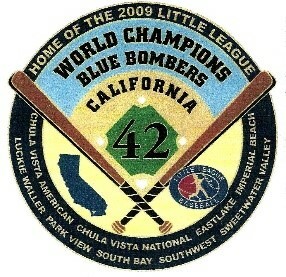 The area has had multiple little league teams compete against the highest competition on the world stage. The sport really has brought the community together. Click on the title link to read the article and view the videos. Receiving a notice that a bat has been decertified, especially in the middle of the season, is challenging, inconvenient, and disappointing for everyone. On Thursday, May 3, USA Baseball informed Little League and other yout organizations about the decertification of the Easton Ghost X 30/20 5/8. We are committed to sharing that information with all of you as soon as we received it. According to the official notice from USA Baseball, "official compliance testing determined that the Ghost X 30/20 exceeds the performance limit set by the USABat Standard. Per the USA Baseball Youth Bat Performance Test Protocol as well as (USA Baseball's) contracts with Easton, these results constitute a non-compliant bat that must be decertified." At the conclusion of the Little League® International Congress in January, we shared with you the full voting results of the Congress Voting Agenda. The final two items, Item 12 (tournament mandatory play) and Item 13 (tournament tie-breaker scenario), both received a majority vote. Item 13 will be referred to the Regional Roundtable agenda in 2020. Regarding mandatory play for tournament play, the Little League International Tournament Committee was directed to further review and provide due diligence in order to appropriately enhance the mandatory play rule for the benefit of all tournament participants in 2018. Following this directive, the Tournament Committee worked with the Little League International Board of Directors Operations Committee and the Advisory Board to develop a new mandatory play rule for tournament play effective with the 2018 Little League International Tournament. Please note that the mandatory play regulation is for tournament season play only. Beginning this year, a manager's failure/refusal to insert players into the line-up as outlined in the new rule shall result in immediate ejection of the manager and removal for the remainder of the International Tournament, without replacement. The umpire-in-chief or other individual designated by the game Tournament Director in consultation with the official scorekeeper, shall advise both team managers, at the appropriate time as outlined in the new rule, of their obligation to insert all players who have not completed their mandatory play requirement. The full text of the updated Tournament Rule 9, which pertains to baseball and softball 8- to 10-Year Old Division, 9- to 11-Year-Old Division, Little League, Intermediate (50-70) Division, and Junior League can be reviewed at LittleLeague.org/Rules. The full text is also available for download. I strongly urge you to fully review this new rule and ensure that you share this with all of your fellow volunteers and parents within your district and/or league. Please note that the updated Tournament Rule 9 is not included in the printed or eBook version of the Little League Rulebooks for this season, but will be in full effect immediately. We know that you will have questions regarding this new rule. We strongly urge you to submit those questions through this Submit a Question link. Little League International will use these questions to develop additional support, including an FAQ and an upcoming webinar to discuss the rule to help all volunteers, coaches, umpires, and parents to fully understand the rule prior to tournament play this season. As always, Little League International Headquarters and Regional Staff is here to support you as we adopt this new change, which provides a structure that remains consistent with the spirit of Little League's mandatory play rule. We urge you to use the Submit a Question link, and please be on the look for additional educational resources for the updated Tournament Rule 9 in the coming weeks. Thank you for your continued volunteer service and dedication to Little League. As you know, this year marks the first year in the adoption of the USABat Standard by many youth baseball organizations, including Little League® International. We greatly appreciate your understanding over the past three years as we've worked with USA Baseball to transition to this new standard.